News flash! You can safely get rid of your hot flashes! Estrogen is not so bad after all. A study in JAMA Journal of the American Medical Association April 2011 found that estrogen alone had a reduced risk of breast cancer and their risk of stroke declined after stopping the medication. There is so much confusion regarding hormone replacement therapy. When evaluating the studies, consider a few things. The type of hormone (synthetic versus bioidentical), the route of administration (oral, transdermal or through the skin or other), the age when started and other therapies. These are just a few considerations. • The first one is when you stop taking oral synthetic hormone therapy the increased risk of stroke and blood clots in the legs and lungs go down and so does the benefits on decreased hip fracture. Note: only oral estrogen produces blood clots and increases risk of stroke. Bioidentical estrogen given through the skin does not increase stroke or cardiovascular disease risk. 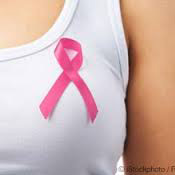 • The second major finding was a decreased risk of breast cancer. When we followed for another four years, that decreased risk of breast cancer persisted, so that, over the entire follow-up period, we saw a 23 percent decreased risk of breast cancer. Note: it was the oral, synthetic progestin that was implicated in increasing the risk of breast cancer. • The third finding is that the risks and benefits of hormone therapy differ importantly by age for several types of chronic disease, heart attacks, colorectal cancer, death and then overall chronic diseases are lower among women taking hormone therapy in their 50s compared to placebo, but among women in their 70s, they actually had higher rates of all these conditions if they were taking estrogen alone vs. placebo. Note: In the Women’s Health Initiative study the average age of women studied was 63 and most were 10 years post menopause. So if you are considering hormone replacement therapy, keep in mind the differences in type, route of administration and age when you begin taking them. Discuss all of your options with a physician knowledgeable in bioidentical hormones to determine the most appropriate treatment given your age, risk factors and state of health.